After a hearty meal, the vassal’s squire brought Rowan, now in azure garb, to the receiving hall of the vassal’s manor. The manor’s receiving hall though smaller than Greendale’s, had furnishings that were more elegant. One side of the wall was painted with the map of Soleil and the other, the map of the world. An elevated platform held the Lord and Lady’s chairs, and a huge painting of the vassal’s family hang on the wall behind. The vassal sat on his ‘throne’, enjoying a glass of wine. Also present in the hall was a lady with long brown hair in pastel yellow gown. After nudging the boy to walk towards the vassal, the squire left the room immediately. “I believe I have not introduced myself to Greendale folk. I am Lord Grey Pelt,” the vassal stepped downed from his throne. “And this is Lady Muriel.” Lady Muriel curtsied as her Lord introduced her. Rowan remembered the lady from the reinforcements who rescued them from the Obsidia. He identified her as the one responsible for the glass barrier. “You were -” The boy hesitated to finish his sentence. His statement bemused Lady Muriel. Lady Muriel imitated her vassal but she bended lower. Rowan accepted the apology and bowed at the same level with the lady. “Rowan, from now on you are a Soleil noble.” The vassal earned puzzled looks from Rowan and Lady Muriel. “Your father had sworn fealty to my House just this morning. Sir Petrarch now serves for me and my town.” Lord Grey continued. Clover had not recalled everything. The events after Leon dragged her to the well were still blank. She walked in circles outside her tent, forcing herself to regain last night’s forgotten memories. However, she only remembered as far as the short conversation Leon had with the two strangers at the well. 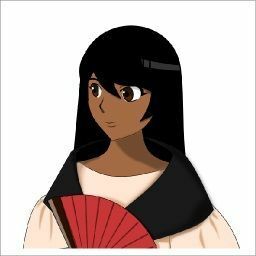 She flipped her long dark brown braids back and decided to look for Leon and his cousin around the community. After going around twice, she gave up. “Why do you look anxious?” Rowan’s mother ran into Clover. Lord Petrarch’s wife made her afternoon round in the community, checking if those working in the mines were treated properly. Rowan’s mother asked Clover to check if their water buckets need refilling. Finding one empty back in their temporary abode, the fledgling brought it to the well. With the sun retreating beneath the mountain, she filled the bucket fast. When she replaced the dipping pail, she noticed a small, glistening object near the shrubs. Everything became clear! After Leon dragged Clover to the well, he forced her into partaking in some ritual. During it, mysterious force riveted through her body as he held her arm. The gesture seemed to have a charm that passed knowledge to her. That would explain how she could utter those gibberish to send water – well water in their case – to the heavens to conjure rain. However, it took hours before precipitation occurred. Their chant resulted the morning rain. Those who smelled its petrichor had their memories about the disturbance erased. The realizations deeply troubled Clover. As night took over, the glistening object became more visible. 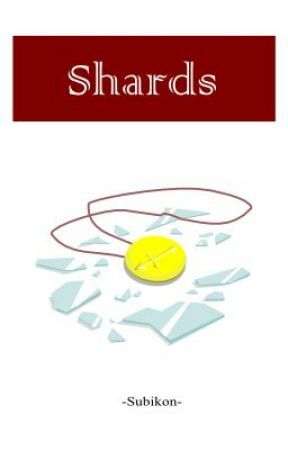 Making sure no one was around, she went over it and picked it up – it was a glass shard. Its glow died down when Clover touched it. Afterwards, something lit up behind the shrubs. She peered over the undergrowth and saw a trail of shards twinkling in darkness, reminding her of the couplet Leon gave after the ritual. Beacons behind the well to set you free. Clover had no idea how she remembered that part; she fainted after uttering the chant. She was growing accustomed with the way of blacksmiths but a burning desire inside her was screaming, wanting to be quelled. Suddenly, she heard the shard on her palm crack. As she looked at it intently, it turned into water then she motioned her hand circularly about it. Clover grinned at the sight of a Black Dragon Wisteria flower bud that had formed out of it. She held onto the sculpture tightly and followed the trail of shards. A lot of questions swarmed in her mind. She needed answers, fast.